HomeMarketing How do custom social media marketing campaigns effect your brand persona? 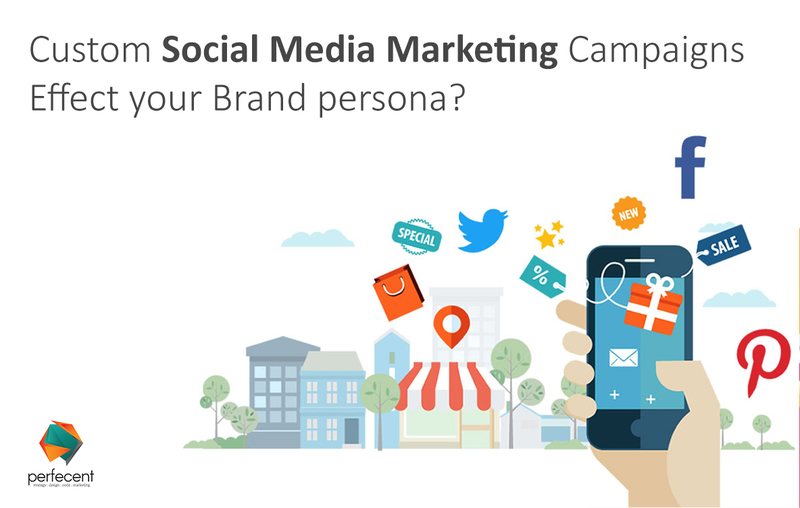 How do custom social media marketing campaigns effect your brand persona? Social Media Marketing: Does it Really Matter? Want a single-worded answer to it? Yes, it does. And precisely, to an exorbitant extent. There exist great many ways in which the marketing campaigns exercised via social media alone is able to do miracles with your financial gains. But, despite all the rhetoric upholding the highly effective role social media platforms can play in your online business, whether it has acquired firm footings over a period of time or a startup in its infancy, there may be found some for whom spreading the word via it sounds meaningless owing to its (how on all earth!!) complexity. If you intend to be with us as we proceed along, you are with the majority. Needless to say, the usage of the appropriate social media tools at the hands of an adept marketer is destined to pay off huge dividends in both short & long terms. They say, “There can be nothing better than getting it customized your choice.” Purchasing readymade suiting or shoes for that matter is a scenario poles apart from treading a set path for social media marketing. Your nature of business, its duration of existence, and how much exactly you are able & willing to spend on publicity gizmo. Getting all marketing strategies lined up within your gray matter can sometimes be messy when things tend to get jumbled up, leading you to closed end alley. It is always a good advice to jot down every bullet point in black and white & then committing to your plan. Below we present to you a comprehensive overview of going around the process tailored to your needs. Boost Traffic via Custom Optimization: As a matter of fact, Google has a high affinity for all social media channels. Optimum inclusion of targeted keywords within the title & description that reflect the search queries does lead to high-ranking search results on Google as well as all social media platforms. The perfect combination of SEO & social media practices helps as a potent tool for producing ideal marketing outcome. Build Brand Identity That Suits You Well: It all depends on your brand reputation & recognition among the masses that let you be their first option out of literally dozens of similar online brands. Bombarding the clients & prospects with periodic website and social updates & modifications lets your company occupy their subconscious and be treated as an authority in whatever it does. The piling up the identity factors are labelled as “creating brand awareness”, “building relationship” and “boosting overall sales”, followed in that sequence. Augment Your Sales Figures Rapidly: Beyond any doubt, the ROI (Return On Investment) offered by a social media marketing strategic plan after its professional setup & implementation may be exorbitant, provided that you ensure swift approach to consumers’ queries & feedback. A prompt response given in a personalized manner as a solution to their specific need would go a long way in turning your visitors into customers.